It's simple, yet ingenious, but not without hindrance. 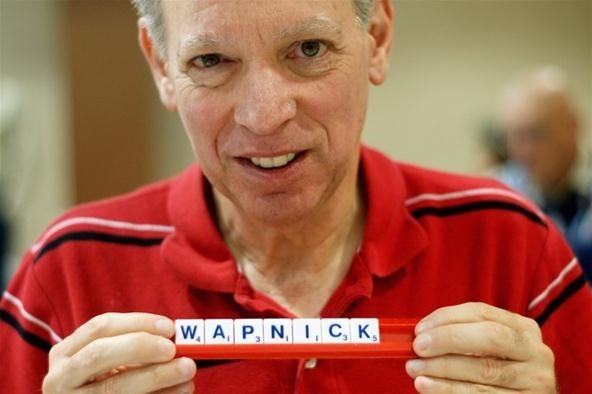 Joel Wapnick, 65, from Montreal, Quebec. Cullman states on his website, "The trickiest part was getting some of them to pose during a tournament, when there's often little time between games." He started his Scrabble Portraits project at the Michael Wise Memorial Tournament back in 2009 and continued the series in this year's Toronto International SCRABBLE Open and Human vs. Computer Showdown. Nigel Richards, 44, from New Zealand. Many of the top players at these Canadian competitions ended up in this year's World Scrabble Championship, vying for the $20,000 first place prize. 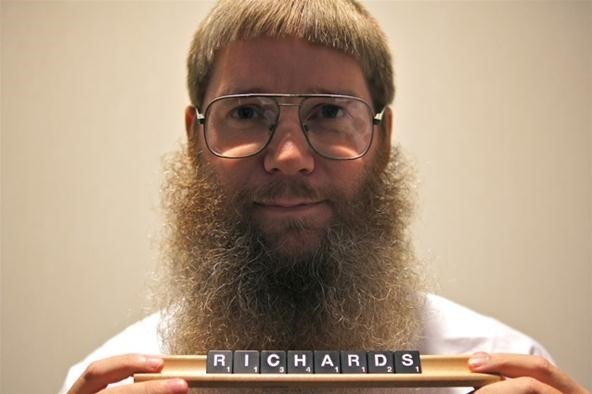 Pictured in the mugshots above are Joel Wapnick, former World Scrabble Champion (1991), and the current two-time World Scrabble Champion Nigel Richards (2007, 2011). Make sure to check out all of Cullman's photographs at his website, which includes portraits of Scrabble pros Adam Logan, Jackson Smylie, Jeremy Hildebrand, Maxim Panitch, David Boys and more. Oh he does, from the episode where Alan and Jake are shown 25yrs into the future working at a movie theater snack counter.